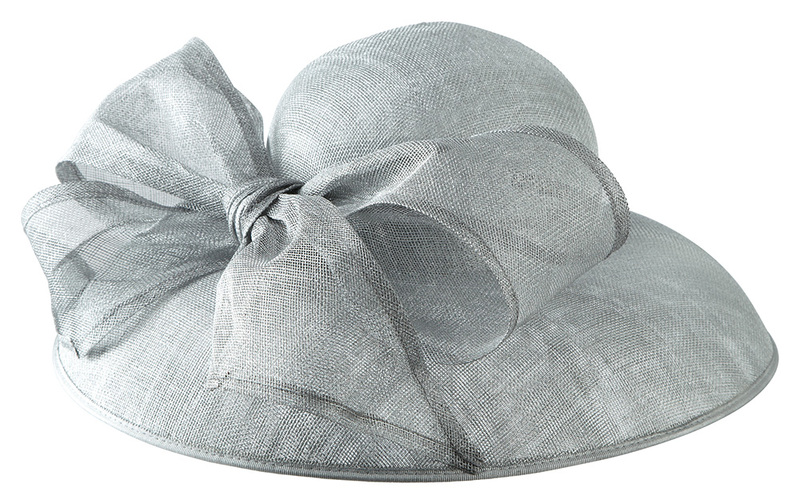 The Hepburn Hat is inspired by the beautifully chic drop brimmed hat from the classic Breakfast at Tiffanys. 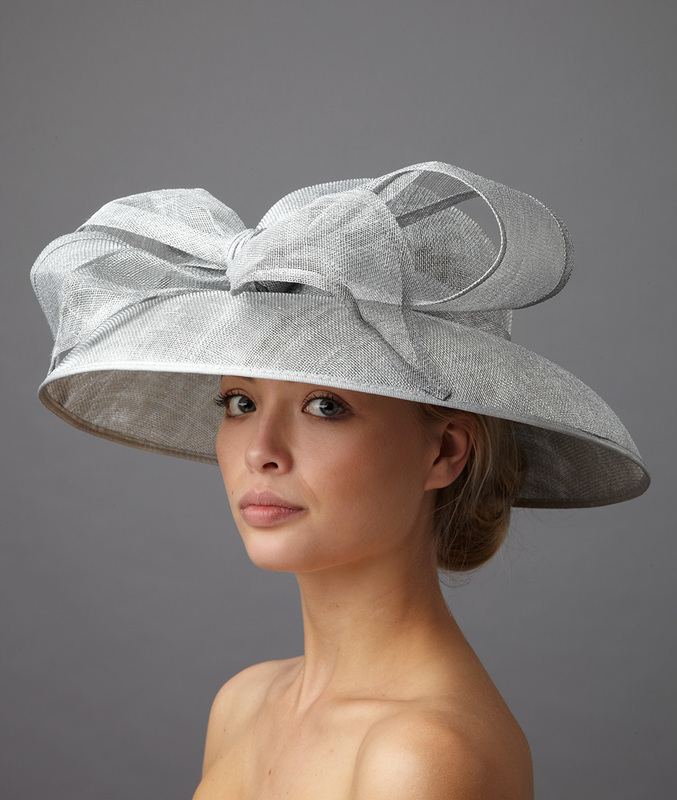 Our version of the Hepburn hat has a sinamay drop brimmed base with a large sinamay bow. 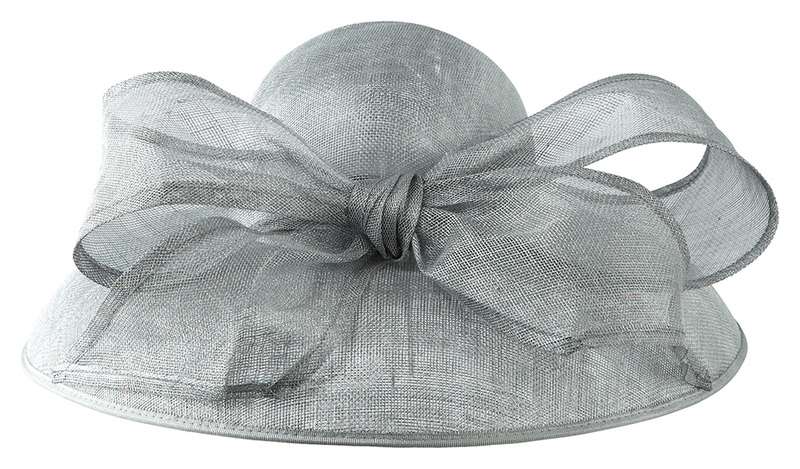 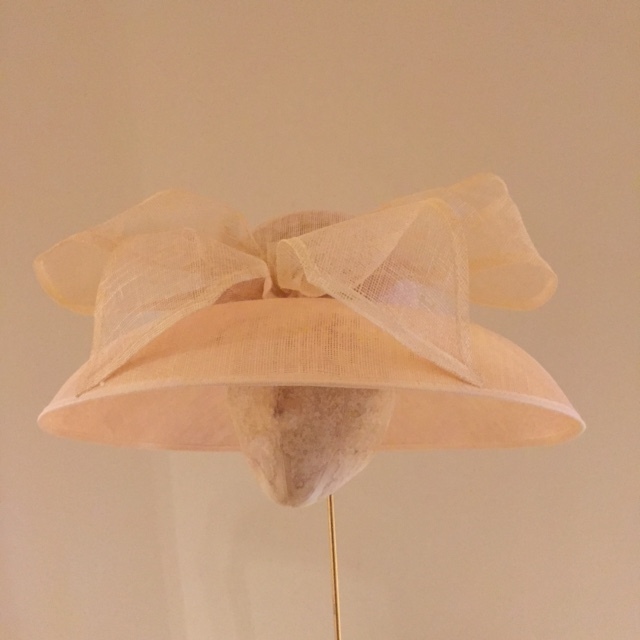 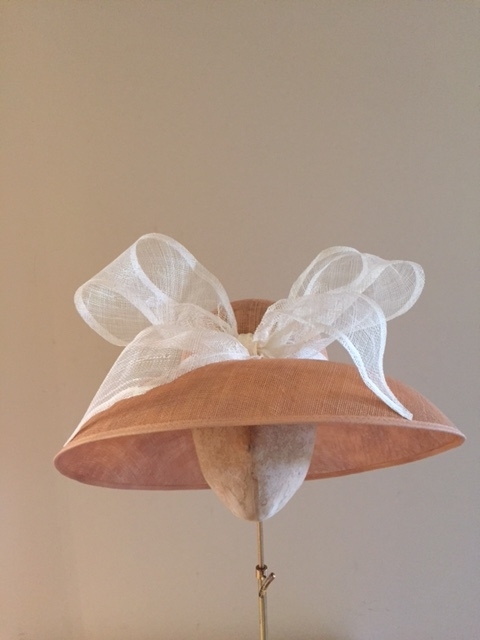 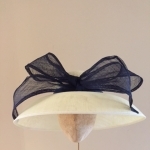 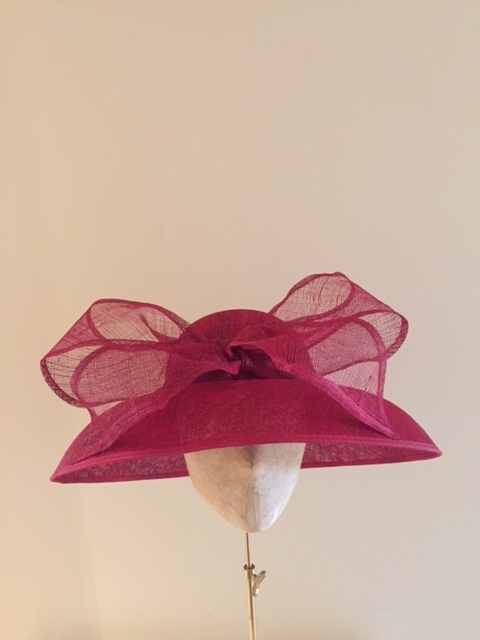 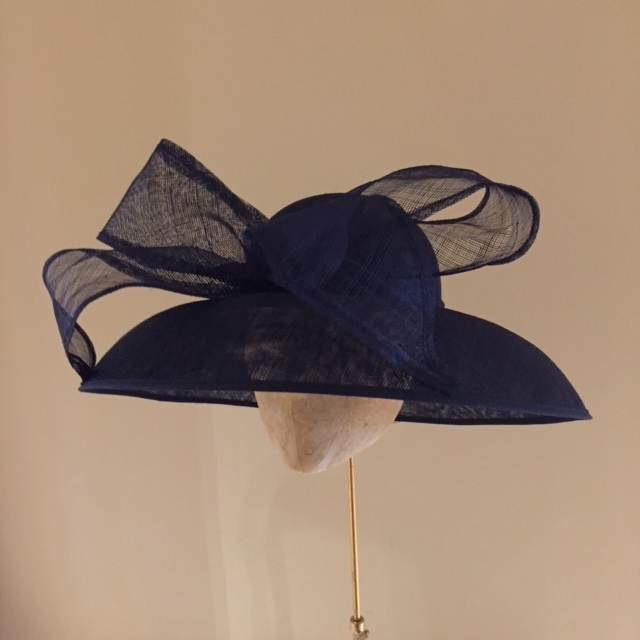 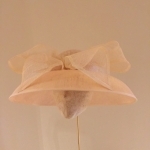 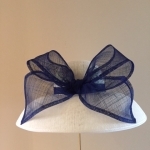 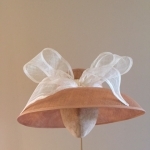 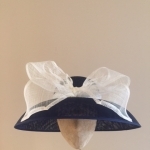 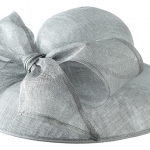 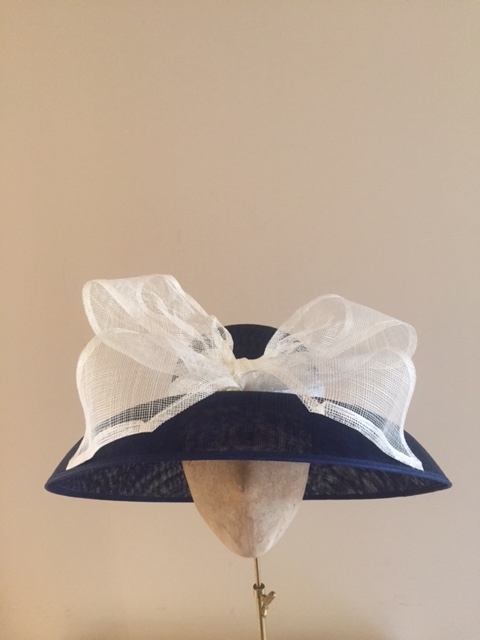 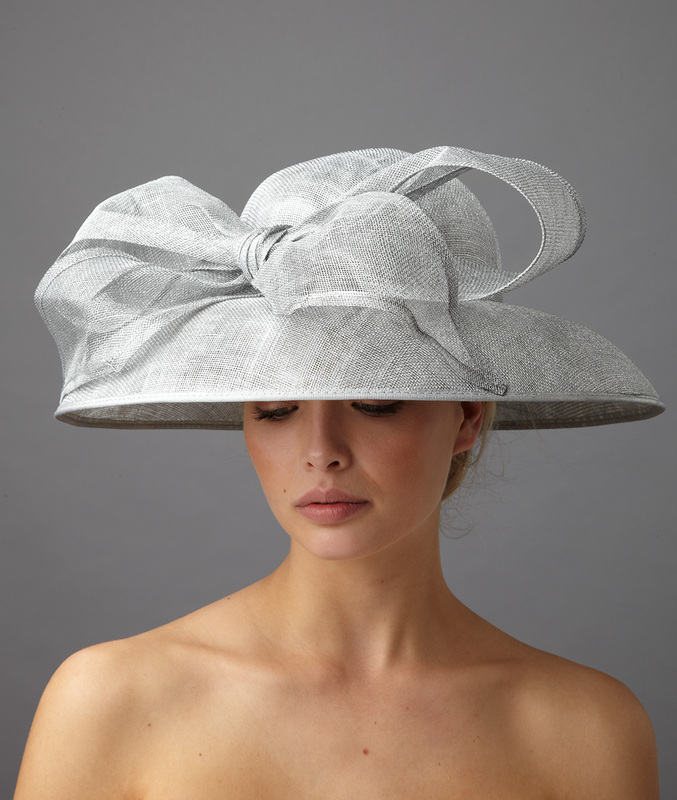 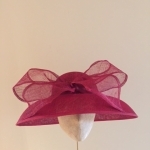 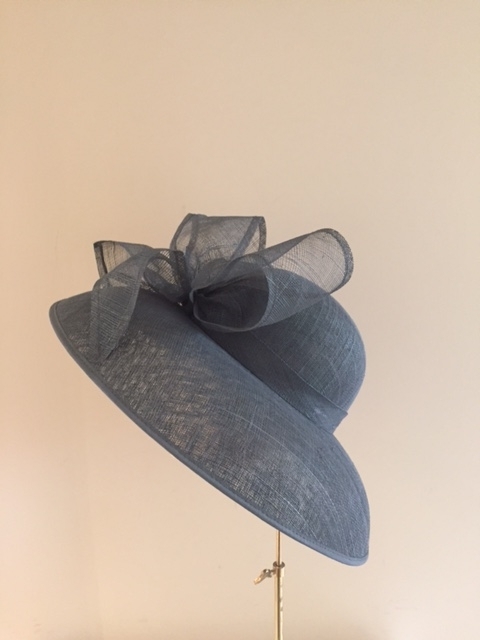 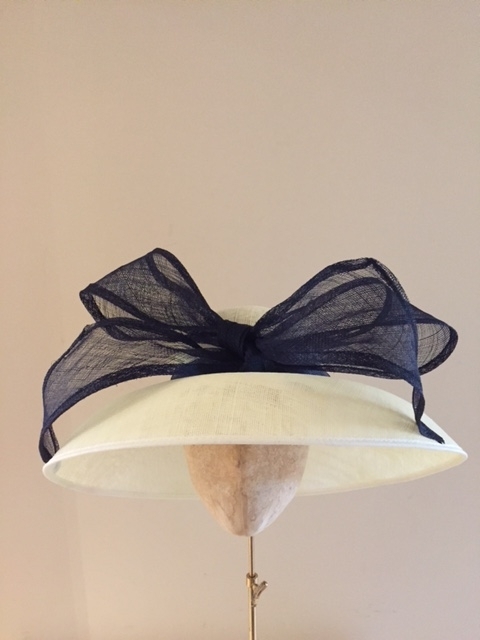 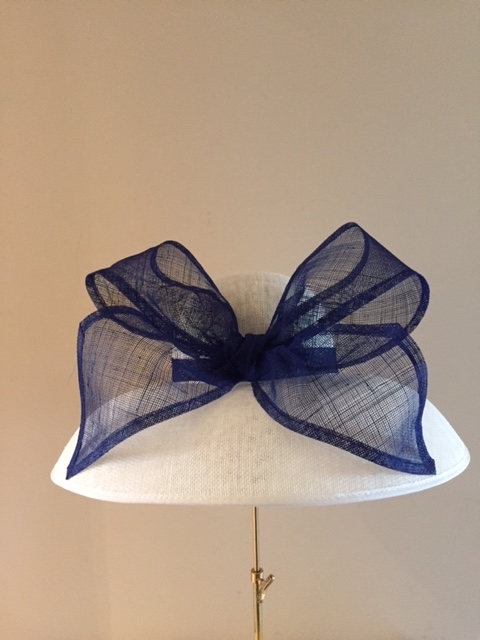 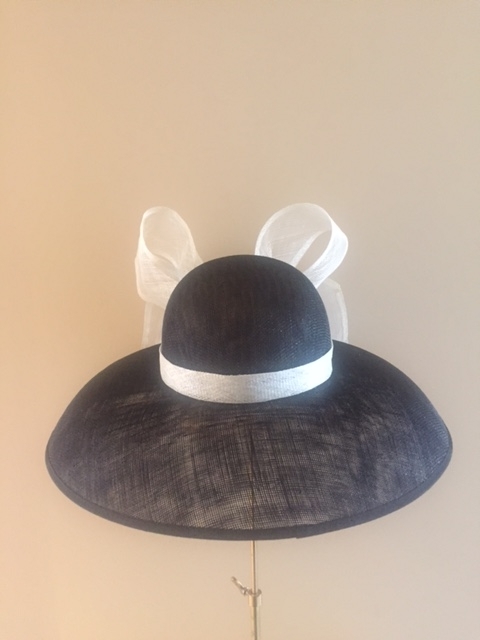 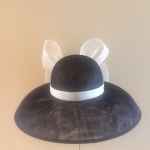 This is a quintessential Mother of the Bride hat but would also be perfectly suited to Ladies Day at the Derby or the Royal Enclosure at Royal Ascot. 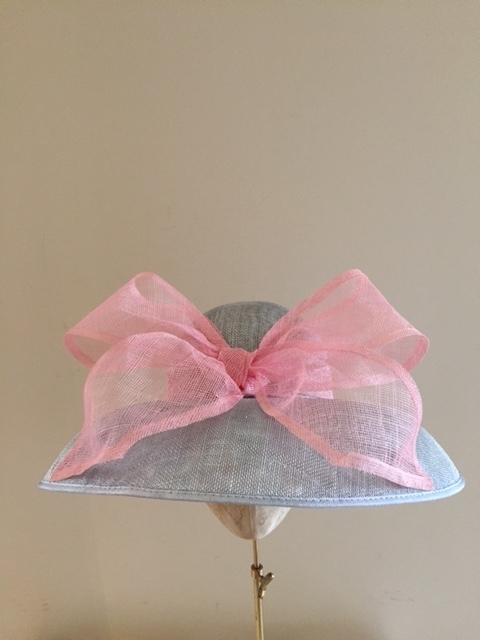 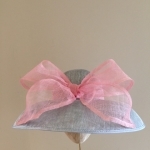 We love this hat with a matching bow and base but you can also have the hat with a contrasting bow and band. 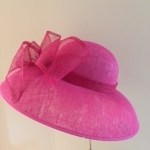 We have over 100 colours to choose from so matching your hat to your outfit should be no problem at all! 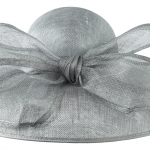 However, we can help you, free of charge. 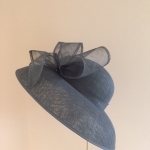 If you would like us to take all the hard work out of choosing colours then all you need to do is select the ‘Request a colour consultation’ option as you place your order. We will then be in touch to assist you in matching your hat perfectly to your special occasion outfit. 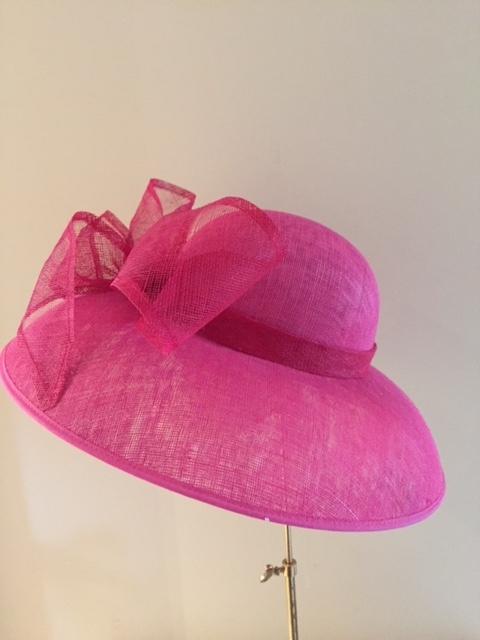 If you would like swatches of colours sent to you then simply email us via info@hostiehats.co.uk and we can put your chosen colour swatches in the post.